Averatec 12-inch Notebook Offers Low Cost Portability | OhGizmo! By Shane McGlaun on 04/28/09 • Leave a comment! IT wasn’t so long ago that if you wanted a 12-inch notebook you had to pay a significant premium for the ultra-portable machines. Today you can get small 12-inch notebooks for basically the same price you can get standard notebooks for. 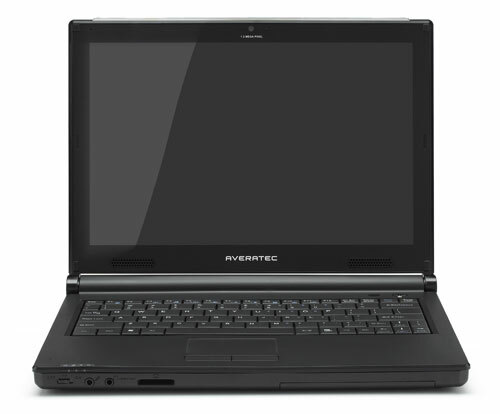 Averatec has announced a new 12-inch notebook that packs some nice features into a machine selling for $699. For the money you get an Intel Core 2 Duo T6400 processor at 2GHz, 4GB of RAM, and 64-bit Windows Vista. Storage for the small notebook is to a 250GB HDD and the machine has an integrated DVD burner. Connectivity features include 802.11b/g Wi-Fi, Ethernet, VGA out, three USB ports and a single FireWire port. The machine is available now for purchase.